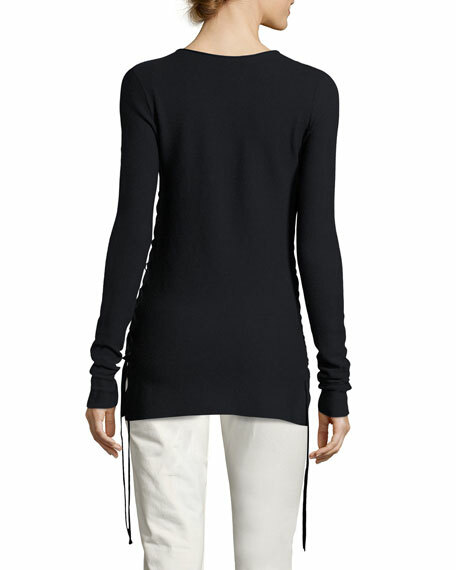 THE ROW "Edal" sweater in fine stretch wool. Strings at side-slit hem ruche sides. For in-store inquiries, use sku #2164366.